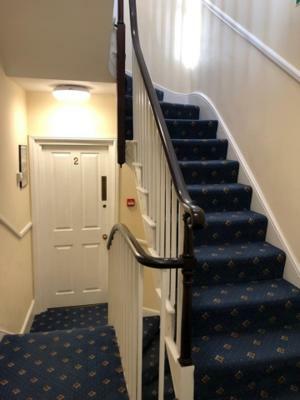 Lock in a great price for Peregrine House – rated 8.2 by recent guests! The place was very centrally located but in a quite side street. The room (single room) was small but big enough. I definitely liked the breakfast. Only thing was that it was a 5min walk away to the main building. I mean they have a continental breakfast at the lodge but the full English breakfast made to order was definitely worth the walk! Parking was possible at the Castle House Hotel, which was essential as parking in the centre of Canterbury is not easy. Able to have cooked breakfast at the hotel, which was freshly prepared. Lodge is really well placed to see Canterbury on foot. The staff were all pleasant and very helpful! There is only one parking site at Hawkes Lane directly and as we were the first o check in, we got lucky and didn’t have to park at Castle House. The location is exceptional! Wide variety of choices for the breakfast. It was continental but drink was served by a member of staff and she was extremely nice and friendly! The staff at the reception is super nice and helpful also! Room was big and spacious and the bed was really comfy. Staff were mostly very helpful and pleasant. But their hands were tied due to physical limitations of the facility. Good selection for breakfast, both hot and cold. Centre of City so great for shopping sight seeing etc. Hotel in very quiet side street, no disturbances. Clean and nice room, in the city centre. Very good value for the money. And...great breakfast! Friendly service, great location and super Eggs Bénédicte included in the room rate. Breakfast was very good. Staff were professional and very helpful. 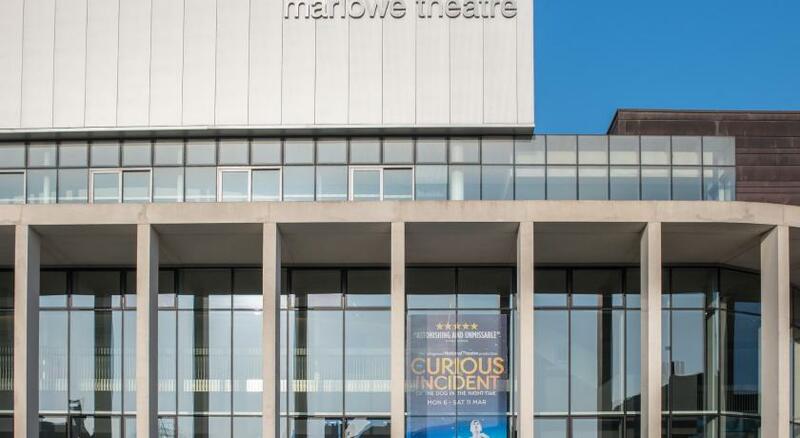 Great location in centre of Canterbury. 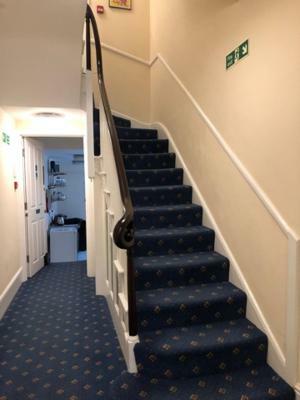 Peregrine House This rating is a reflection of how the property compares to the industry standard when it comes to price, facilities and services available. It's based on a self-evaluation by the property. Use this rating to help choose your stay! 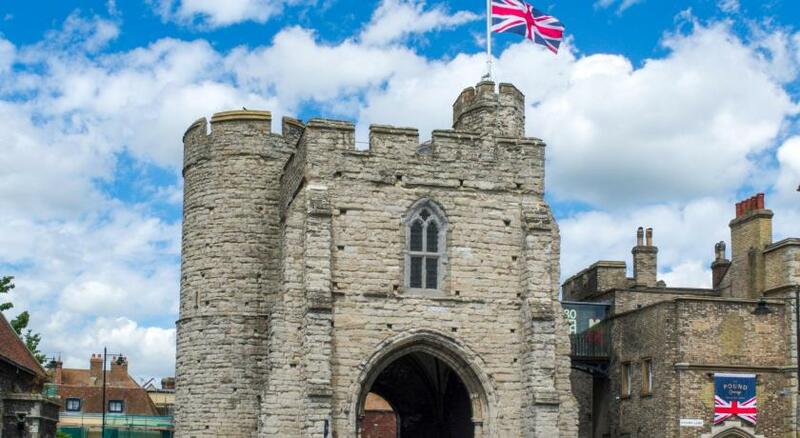 Located in the heart of Canterbury, Peregrine House offers spacious rooms with private bathrooms. 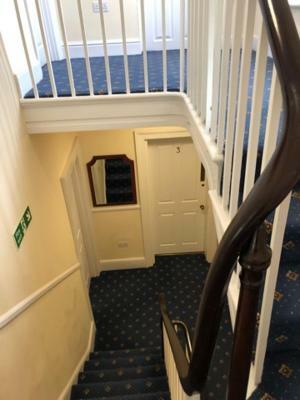 The Georgian townhouse has period features and traditional charm, just 100 feet from The Canterbury Tales attraction. Breakfast is served at the pilgrims hotel . There are a number of restaurants and cafes just a few steps away. The elegant rooms offer comfortable seating areas and tea and coffee facilities. Free WiFi is accessible in every room, and all feature a TV, hairdryer and work desk. The 4-star Peregrine House maintains its original features, including low ceilings, mirrored arches and large sash windows. Parking and check-in is at The The Pilgrims Hotel. Peregrine House is just 1 minute walk from the river and Canterbury Punting Company. 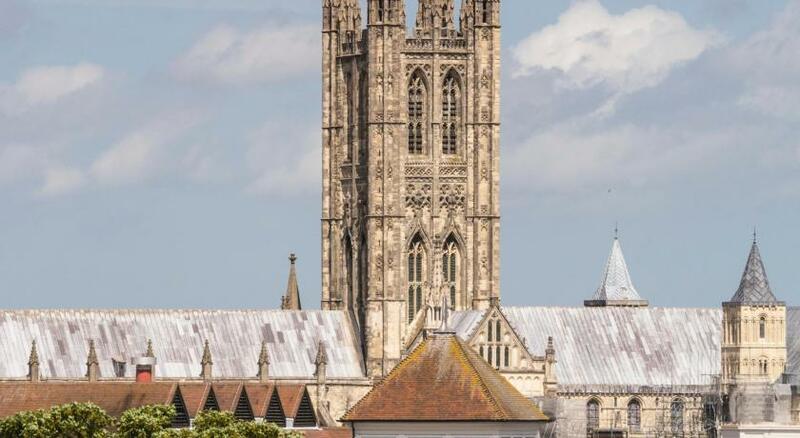 Canterbury East Railway Station is just 10 minutes’ walk away, and Canterbury Cathedral can be reached in 5 minutes. Check-in takes place a 5-minute walk away as mentioned in the Important Information section. 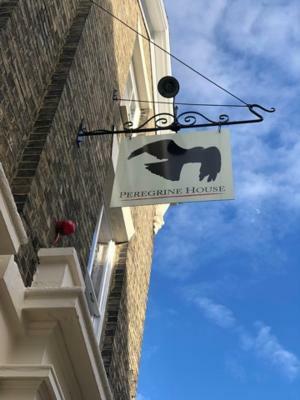 When would you like to stay at Peregrine House? House Rules Peregrine House takes special requests – add in the next step! Peregrine House accepts these cards and reserves the right to temporarily hold an amount prior to arrival. Please note that Peregrine House has no reception. That hotel and parking were on 3 different sites. It was quiet and close to town centre. 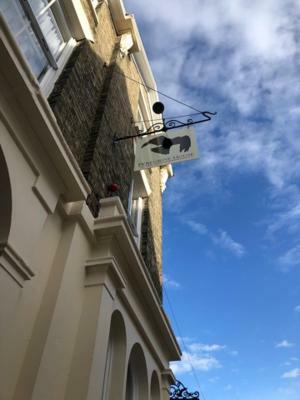 A superb stay at a charming b&b. 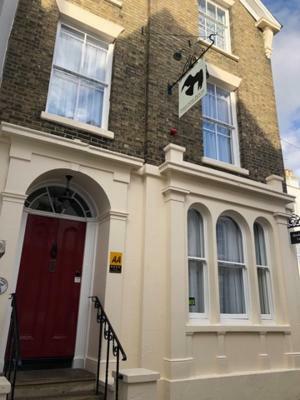 Location was excellent - close to the high street but quiet; the accommodation itself far surpassed our expectations - spacious and well presented; staff were helpful and friendly. Highly recommend this for a city break stay. My mattress was simply too soft for my back so I found it difficult to sleep. Spotlessly clean and well appointed. 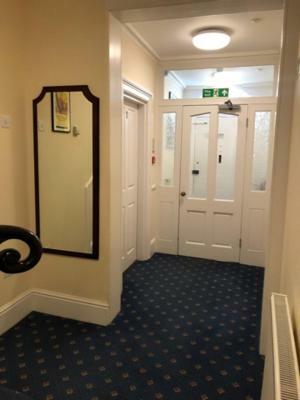 Quiet location with no traffic, a short walk from the Cathedral and city centre. Very good individually served breakfast included in the price. My room was really large and quiet. 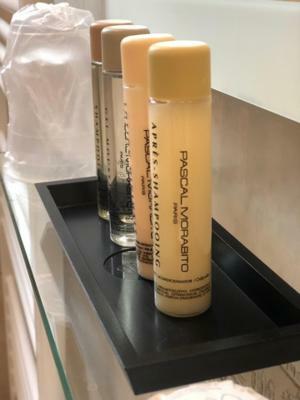 The amenities are of excellent quality. The breakfast was very copious and delicious. The bar was cosy and very nice to have a beer. The staff are very helpful and even gave me a stamp free! The accommodation was in a great location, very comfortable and had everything needed for a great stay. The staff couldn't have been more friendly and helpful. It made my holiday. I will recommend it to all my friends and family. Basic breakfast and cold room. Hotel is in a great location, room was clean and spacious. Warm and comfortable room in the very centre. Unfortunately I hit my leg on the wooden frame of the bed before I was aware that it was sticking out. As I'm on blood thinners it made another bruise, never mind. But perhaps a pretty shiny sicker or something would alert one to its presence. Very convenient for town, although I did get soaked getting to my car in the morning. The young lady serving breakfast was delighful, kind and helpful. Perfect central location and breakfast was adequate for continental.